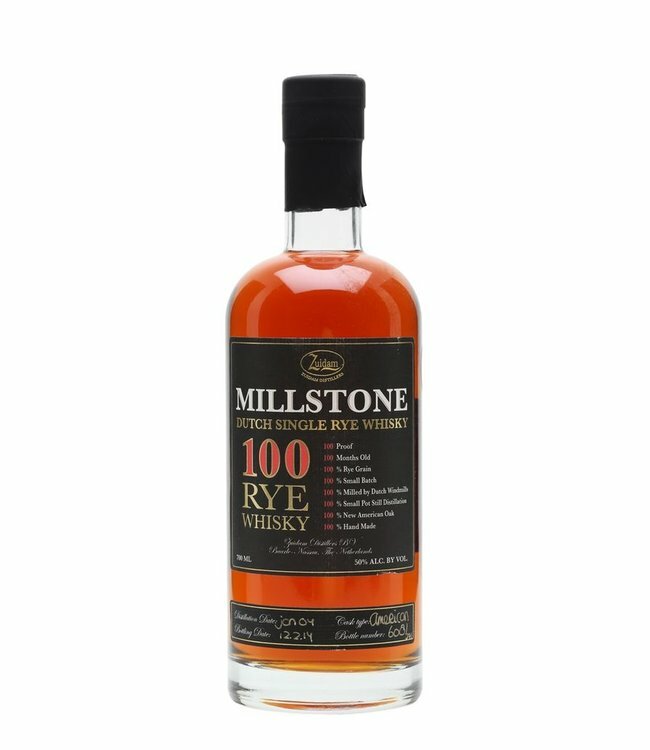 Millstone 100 Rye is made at the Zuidam Distillery in Baarle Nassau in the south of the Netherlands. 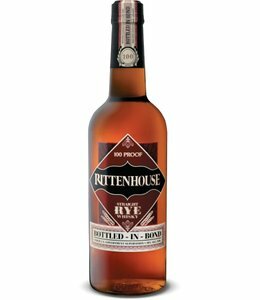 The base grain is 100% Rye and after distillation it is aged in virgin American oak for a minimum of 100 months or 8 years. 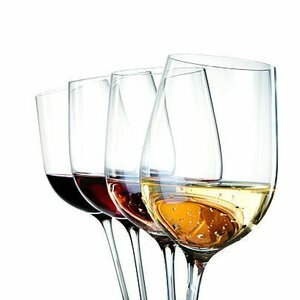 The nose has rich notes of citrus fruit and spices with delicate tones of honey combined with vanilla and oak. 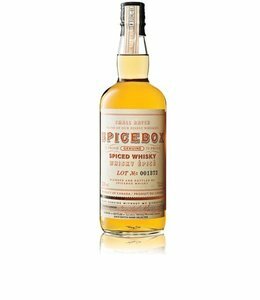 The taste is rich fruity, honey sweetness and delicate spicy notes and a long peppery vanilla and oak finish. The whisky begins life with heating water in a 10,000 liter tank before mashing in 1 ton of unmalted locally sourced Rye grain at 85 Celsius. This produces a thick glue like mash which is cooled down to 65 Celsius before mashing in 1 ton of locally sourced malted rye grain. With other grain mashes the consistency improves greatly after mashing in the malted grain. Due to the mash bill of 100% Rye, consistency does not improve and is very thick and glue like, even after sachrinification (the converting of the starches in sugar). 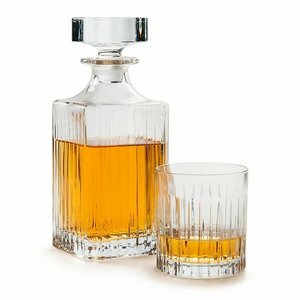 This is caused by the naturally high levels of beta-glucan and arabinoxylan in the rye grain. After the sachrinification the mash is cooled down to 19 to 20 Celsius before adding the two yeast strains that are used in the fermentation. 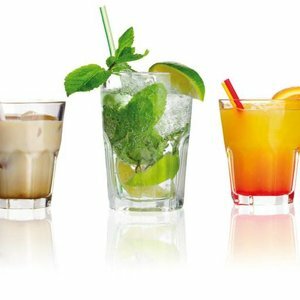 The first is a Belgian brewers yeast which is added to produce the fruity flavors and the second is an M-strain distillers yeast. The fermentation temperature is rigorously controlled during fermentation for several reasons. 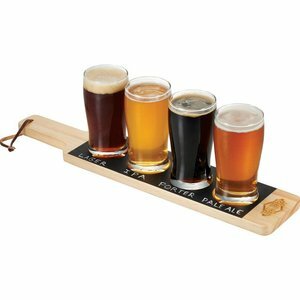 The most important of these are to produce a fruity (distillers) beer and to keep the rate of fermentation slow. This is done in order to prevent it foaming so much it ends up on the floor instead of in the fermentation tank. The fermentation takes between 7 to 8 days. What results after fermentation is a gorgeously fruity rye beer that is slowly distilled twice in 5000 liter pot stills. First distillation takes about 7 hours. This is redistilled the next day with addition of the fore and after runs (heads and tails) of the previous distillation. This distillation takes about 8 hours. The mash is distilled slowly in order to get a better separation of flavors. 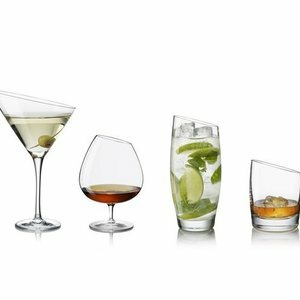 During the second distillation the wanted flavors (or the “heart” in the middle cut) are separated from the unwanted flavors in the fore run (or the heads which contain too many low boiling esters) and the after runs (or tails which contain too many higher alcohols). 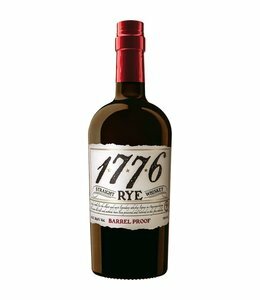 Due to rigorous cuts, what remains is a new make rye of about 74 % Alcohol. 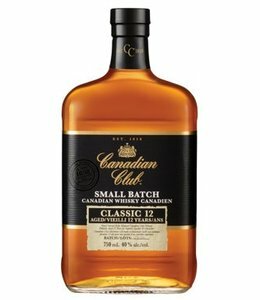 This is then aged in a 200 liter virgin new American oak barrels for up to 10 years after which it is hand bottled at 50% abv or 100 proof. Clean, rich, cocoa, citrus, cinnamon, nutmeg and vanilla.